Summary: A fairly strenuous walk but with lovely views of Newcastle city and the coastline. It explores some historical areas of Newcastle and is well worth the effort. Not suitable for wheels as it involves a few steep pathways with steps. As for the Newcastle walk #3 around Bar beach and the Hill, this walk starts by the No. 2 sportsground at the National Park sport complex in Smith street, Newcastle CBD. Ample parking available but payment is required during the day. Turn right out of the parking lot and go down to Parry street and turn right again walking past the bottom end of the rugby field and sportsground No. 1. Continue all the way down to the T- junction with Brook street and turn left. Walk past Nesca park on your right and turn up Nesca parade. Take first left onto Kitchener parade and then first right up the steep hill of Anzac parade. Keep right and walk up High street until you get to Cliff street and you can glimpse the sea in front of you. The cliff across the road by the parking lot appears to be a popular spot for hang-gliding. Turn left and walk past the Newcastle Marine Rescue Service and you will see remains of the old defensive fort of Shepherd’s Hill. 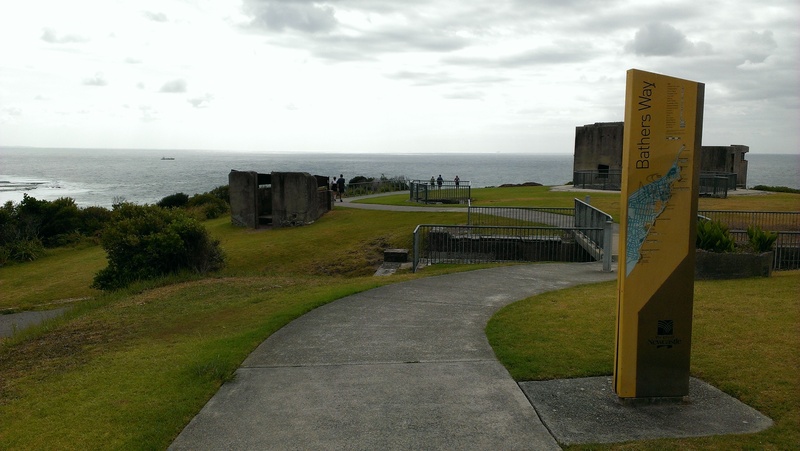 This is where Newcastle’s coastal defences during World War II were coordinated from and the site is now heritage listed. The path that goes down the hill from here is part of “Bathers way” and also “the Great Northern Walk”. Follow the path and admire the views back towards the city and Newcastle beach, as well as out to sea where there are usually large tankers waiting to enter Newcastle port. 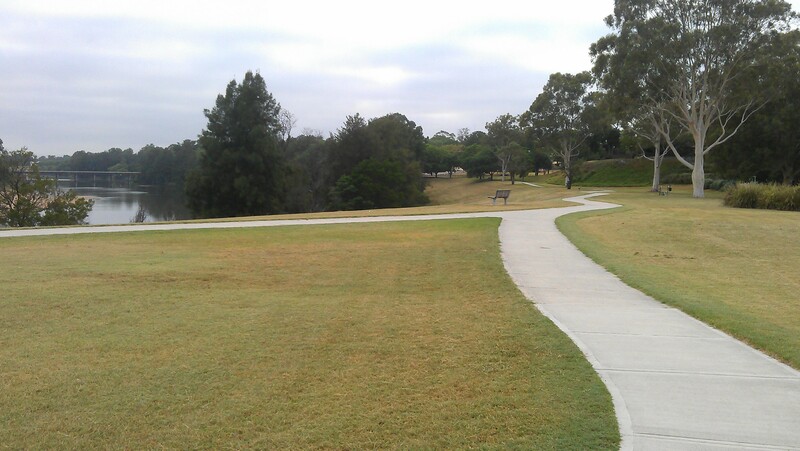 The path takes you along King Edward park and once you get down to Shortland esplanade, turn left up the hill. 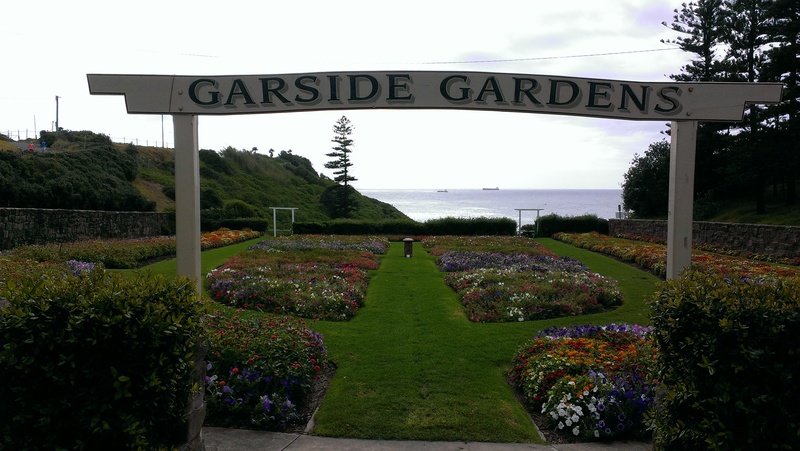 Once you reach the top end of Garside Gardens, follow the path around and then up to the left and cross over Reserve road. 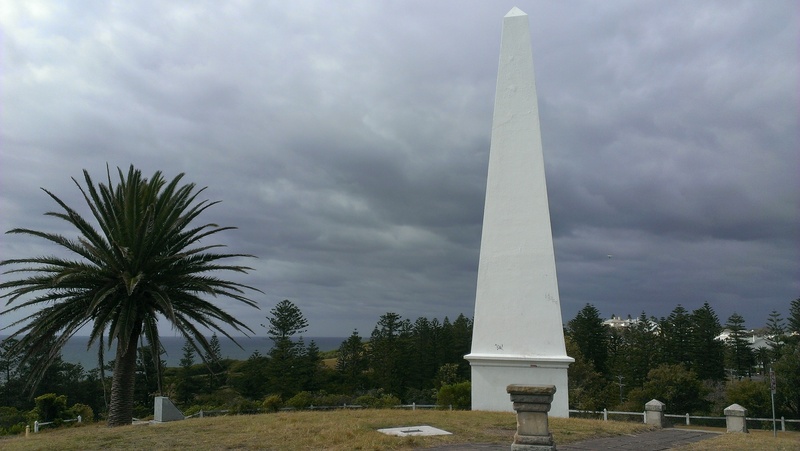 Enter the Obelisk Hill reserve and walk up the steps to the Obelisk. This marks the site of the first water source for Newcastle and subsequent sources of water supply are also indicated with plaques on the ground. The views from here are spectacular. Walk down on the other side, turn right down Wolfe street and walk down to Tyrrell street. Turn left and you will walk past Newcastle East Public school on your right and a Leading Light Tower on your left. This is one of two towers that were constructed in 1866 to allow safe navigation into what was then quite a treacherous harbour. Continue down the hill, cross over Darby street and walk down Laman street. You will pass the Newcastle Art Gallery, numerous churches and the Civic park. When you get to Corlette street, turn left and walk down to Parry street where you will see the rugby fields again. Turn right and walk back to where you parked your car. Summary: A nice short walk by the Hawkesbury river in the historic town of Windsor. Suitable for wheels. Park by the Scout Hall in Johnson street. Walk down to the river and you will see the paved pathway. Go right and walk through the Howe park reserve until you run out of path. You are now at the rugby union ground and you could extend the walk by looping around the field. Walk back the way you came and continue on the path as it meanders along the river. There is a nice, solidly built look-out but unfortunately the view of the river has now been mostly obscured by trees and foliage. The path ends at the bridge (by Bridge street!). Turn around and you can either just walk back the way you came, or, to explore a bit more of Windsor, take the first left up Baker street. This takes you past the Hawkesbury Regional Museum and up to the pedestrian mall on George street with a number of quirky shops and cafes. Turn right and walk down George street until you get to Johnson street, turn right again, and shortly thereafter you will be back at the Scout Hall. Windsor is the third-oldest place of British settlement on the Australian continent with settlement at the location first established around 1791. The local tourist office offers a map for a heritage walk for those that are interested in more detailed history of Windsor and its buildings.